The 2019 AuSFO Symposium will be held between 24-26 October 2019 in Sydney at the Royal Automobile Club (RAC), 89 Macquarie Street, Sydney. The Club is situated opposite the Royal Botanical Gardens and within a short walk from the Sydney Opera House and Circular Quay. There may be events in the days before and after the Symposium. 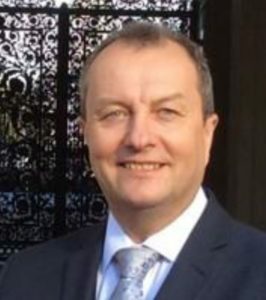 Former Detective Inspector Howard Way OBE has been the Police Senior Manager – Co-ordinator, UK National Disaster Victim Identification (DVI) Unit. Howard has been a UK Metropolitan Police Officer for over 30 years and been involved in a number of international DVI events. He managed international police teams in Thailand after the 2004 Tsunami holding key management roles with DVI and was deputy commander of the Dutch led victim identification operation following the crash of Malaysian Airlines MH17 over the Ukraine in 2014. Howard has been a member of the INTERPOL DVI Working Group for over 7 years and Chairperson of this same group from May 2016 to May 2018.